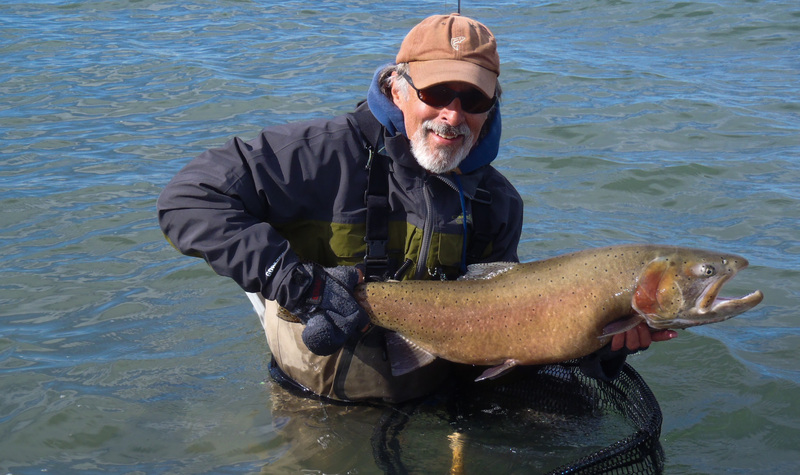 Schedule: Anglers get together at the Reno Nugget for an off water session Friday evening that will cover lots and lots of information on Pyramid Lake. We will show a detailed 45 minute presentation on Fly Fishing at Pyramid and also go over rigging, gear, flies, locations to fish at an indoor location. This will ensure that weather that we are accustomed to fishing in at the lake does not present a problem while learning how. Our vast knowledge and our indoor addition to a one day clinic is what separates our one day events (the “Plus” part). We also include hot lunch on the water. On Saturday we will have a day of on the water instruction at the lake. Anglers will be ready to go after a full evening of talking fly fishing. We will meet at a pre determined location and spend the day fishing and perfecting techniques we use to catch the world’s largest cutthroat trout. We have not only designed new, but also redefined some old techniques at Pyramid that we will share. We will also serve a hot lunch at the lake at one of our fishing locations. You will go away from this outing with the confidence to return to the lake on your own and fish Pyramid Lake like a pro. These events are action packed and designed to help anglers of all levels. This is a great way for the budget conscious angler to learn the ropes of Pyramid lake. Included: Powerpoint Presentation the evening before the clinic. All necessary gear including rods, flies, ladders, stripping baskets, leaders etc. We will also serve a hot lunch. A hot meal at the lake can rejuvenate the soul and warm up your bones.